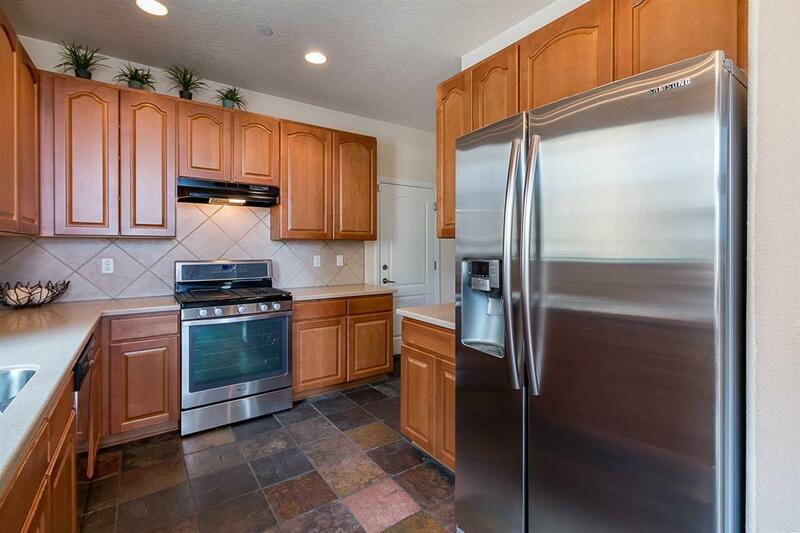 This property is a gem perfectly nestled into a quiet cul-de-sac in the center of town. Stunning slate floors will welcome you into the home along with 20 ft ceilings in the main living space. 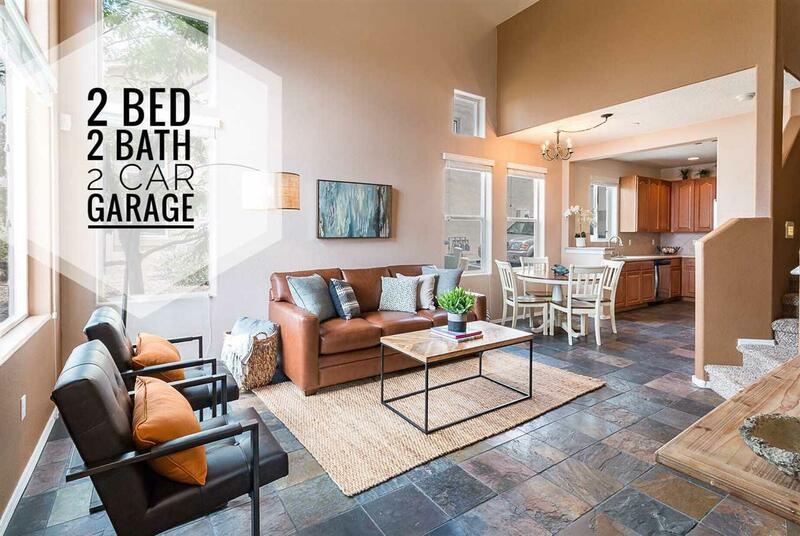 This home has an open floor plan, downstairs master bedroom with an impressive walk in closet, large soaking bath tub and double vanities; not to mention a private outdoor area off of the bedroom. The second story features a multi-use additional living space / loft. 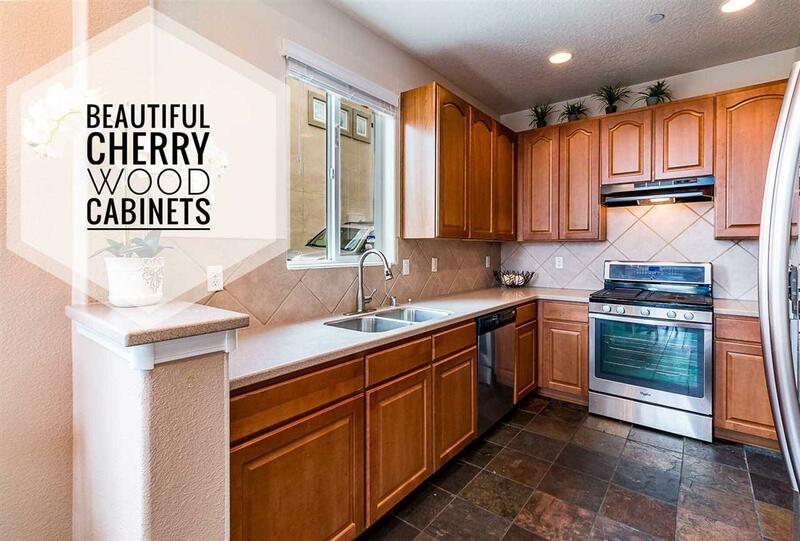 Other features include upgraded beautiful cherry wood cabinets, stylish solid surface countertops, gas cooking, stainless steel appliances, true A/C or heat with the flip of a switch, upgraded fixtures and an attached oversized 2-car garage. Completely maintenance free out door area that is connected to a park with a walking track. 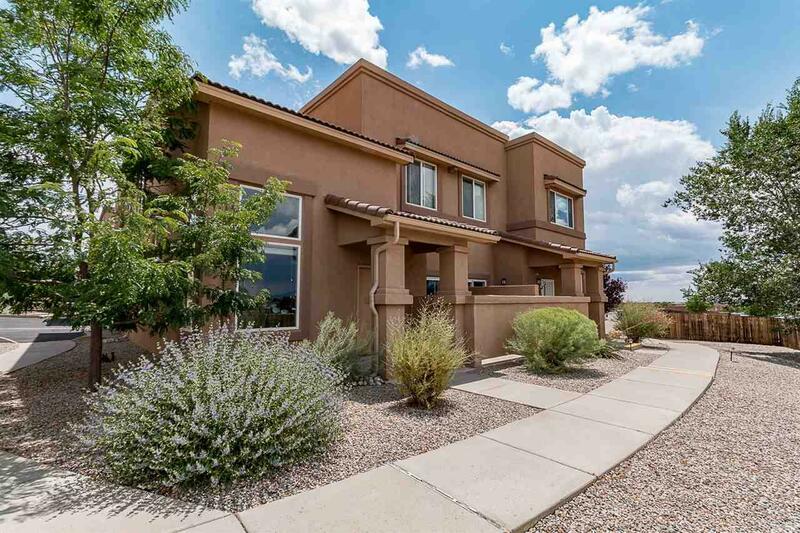 The views of the Sangre De Cristo and Jemez Mountains are simply superb. Perfectly situated location with convenient access to everything you need- located within walking distance to shopping, restaurants, movie theater, grocery stores, and more! There is nothing standard about this home. Come see why this is the property you have been searching for! Listing provided courtesy of Jam Real Estate Experts of Keller Williams. © 2019 Santa Fe Association of REALTORS®, Inc. MLS. All Rights Reserved.